The Kickstarter campaign finished yesterday, with a final total of €130,409 from 4,655 backers which is a pretty decent sum. This means they not only smashed through their original goal, they also unlocked a few of their stretch-goals to include more characters, more localizations, a New Game+ mode and so on. 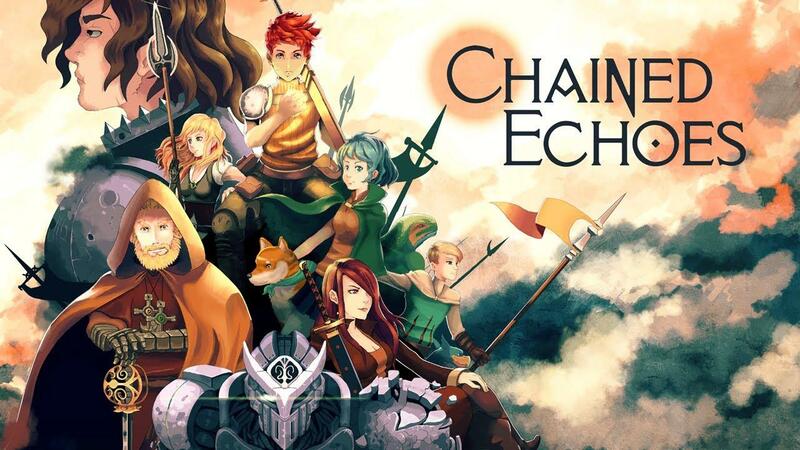 Having a Linux version of Chained Echoes was included in their original funding goal, so when it releases sometime in 2021 we should hopefully see no issues. A lot can change in that time, so I will keep an eye on it. It looks fantastic! The art, the music, the typical blend of fantasy and sci-fi... if only didn’t have the feeling that they’ve shown too much (no need to see the maechas are controllable in-game) would be the perfect 16but RPG retro game. Which makes me wonder how well would do a cRPG with this kind of art/setup of classic console RPGs. Can’t remember any game like that. Damn, it looks just fabulous, I just love this art style. But the barrier for me is the jRPG genere. Arehandoro Which makes me wonder how well would do a cRPG with this kind of art/setup of classic console RPGs. Can’t remember any game like that. Yeap, I wish someday there will be a cRPG in this beautiful 16-bit SNES art style. I'm definitely down for a copy - I'll likely be backing via PayPal given that until this very moment I didn't see the KS campaign, but I'm glad it succeeded. The battle system seems to have some inspiration from not only mainline Final Fantasy JRPG style combat, but also Chrono Trigger (especially if stretch goals are added) and perhaps most impressive of all Xenogears/Xenosaga (regarding the Mechs). I hope they will continue to allow planned/listed stretch goals to unlock post campaign and over the course of the development. The Airship Models and Chain Attacks goals seem like they could certainly add to the game, not to mention any as of yet unrevealed "???" items. Linux support from the start is certainly appreciated and I'll be watching its progress. Admittedly, Bloodstained; Ritual of the Night is still leaving a bitter sting for how it was handled. Thanks for mentioning this title - lets see if we can break out the rest of those goals! Edit: Backing through PayPal will be open at least through March 31st and seems to include everything that was there on Kickstarter. Is anyone else annoyed by the trend of calling games 16bit these days? Sure call the art style out as 16bit pallete, or something. But for me unless I could take the game and compile it for system X and it would run just as well, it isn't truly 16bit. Just call it Old School style, or retro. By the way, games like Retro City Rampage do actually run on old hardware, along with some other new stuff coming out. Would love a game like this on my Amiga 4000.
slaapliedje Is anyone else annoyed by the trend of calling games 16bit these days? Sure call the art style out as 16bit pallete, or something. But for me unless I could take the game and compile it for system X and it would run just as well, it isn't truly 16bit. Just call it Old School style, or retro. My point though is none of these games could be working on the old hardware. They may have pixelated art, but could never be accomplished within the limits of the old systems. Square! Where is my chrono trigger for linux? ?